According to a post on the PlayStation Blog, Mojang's block-building sensation will be available for PlayStation 3 starting tomorrow, December 17. Minecraft: PlayStation Edition will include all the features present in other console editions of the game, barring platform-exclusive content packs. Mojang's Owen Hill said downloadable texture packs and skins will be available soon after launch. As for PlayStation-specific content, Hill said they "would be cool," adding "Fingers crossed, eh?" 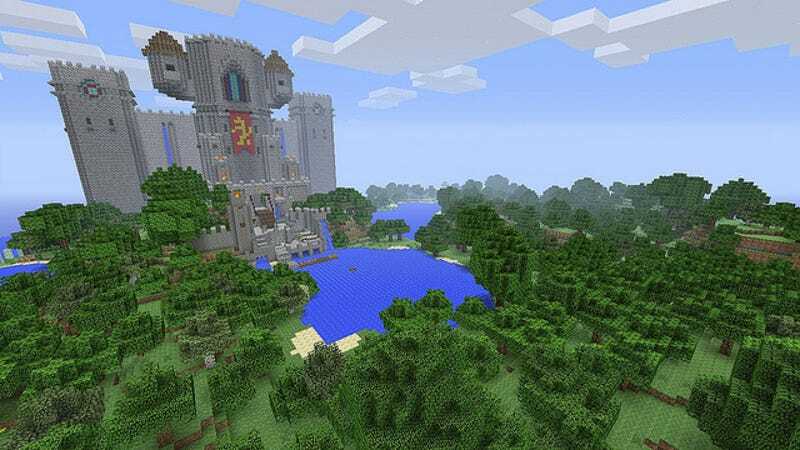 The PlayStation 4 and Vita versions of Minecraft are still in development, with an expected release of sometime next year.